There’s no burned oak at Burnt Oak. There’s not much to the station either, which is a squat pavilion a bit like Brent Cross and Hendon Central, only not as noble or elegant. 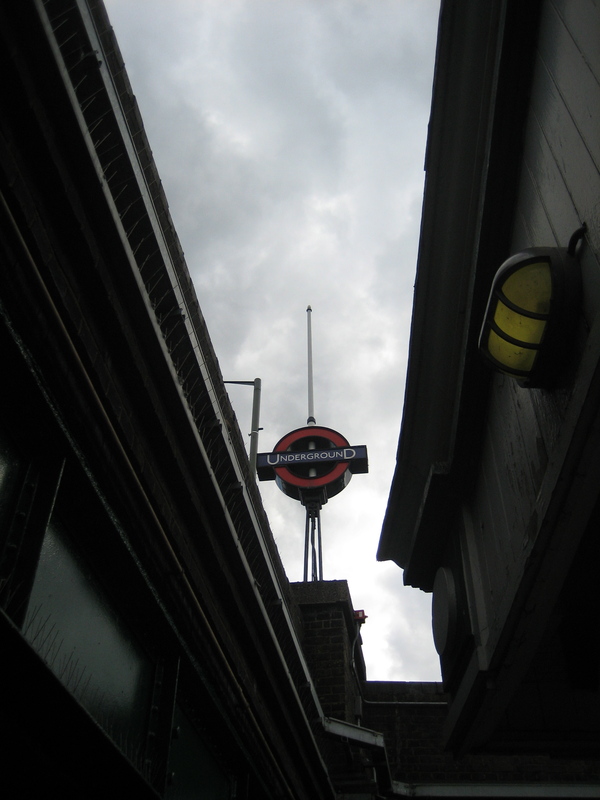 What there is, however, is a roundel on a pole. That might not sound much, but believe me, when you’re standing outside Burnt Oak station with 95% of your vision choked up with tat, grot and litter, it’s a revelation. Even the design of the pole is appealing. 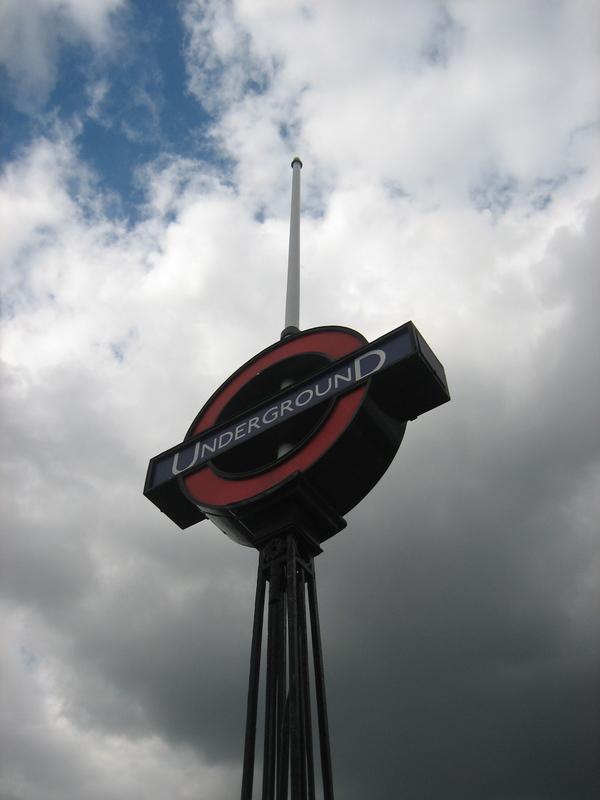 It’s vaguely Eiffel-esque, with the struts climbing upwards in a pleasingly ordered fashion, tapering inwards towards the centre of a satisfyingly chunky roundel. The very top looks a bit like a flagpole, but how you’d raise anything up it is a mystery. Although given the whole structure already raises the spirits, I’d argue no further kinds of elevation are necessary. There’s an added treat when you’re down on the platforms. A gap in the bridges overhead reveals a glimpse of the pole, which from this angle looks even more commanding. It almost makes up for the station’s gratingly archaic name. There’s really no call for words ending “rnt” nowadays. Words ending in ‘rnt’ (and similar unusual combinations of consonants) are the best kind of words. I make a point of using them. Learnt, dreamt, swept… It’s especially pleasing because the Americans don’t like using them, so it’s my pointless little protest at them changing the spelling of words like ‘center’. Loving the blog as always but we’ll have to agree to disagree about ‘burnt’. I’ve come to regard them as a bit of anachronism. But that’s only because I’ve learned to do so, thanks to working with words for a living.